Linux System and Network Administration Bootcamp W/Free Laptop! Rapid growth of Linux into corporate and government IT environments is fueling the need for Linux certified professionals. CIOs and managers are eager to have Linux experts in their organizations. A training or certification provides a tangible mechanism for their hiring evaluation, as well as a means to market the prowess of organizations. QOTD: Should Sony be Sued for Removing Linux? Over the last few weeks, there’s been a lot of discussion surrounding Sony’s decision to remove Linux support from the PS3. Those inclined to sue over the removal of Other OS support say they purchased their PS3 because they could install Linux on it. A Los Angeles judge this week ordered Lindsay Lohan to wear an alcohol-detection ankle bracelet at all times, after the actress was convicted for driving under the influence. Last night, Ms. Lohan tweeted that she wished to bedazzle her Secure Continuous Remote Alcohol Monitor (SCRAM). The device isn’t pretty. Neither is alcoholism. “Can CHANEL please help me out by getting me some stickers to put on my scram bracelet so that I can at least wear a chic dress?! maybe!? x,” Lohan wrote. But the maker of the ankle bracelet warns that anything that affects the alcohol-monitoring device could be considered a violation and could trigger its tampering mechanism. So adorning the lightweight monitor with sequins or stickers could be fraught with problems for the fashionable actress. Guess that means you can’t install Ubuntu on it, either. Bummer. This post is a summary of a conversation I had the other day with an acquaintance of mine. It started out with him asking me what I do for a living and ended up with me having to choke back tears of laughter. I hope you have the same reaction although I realize that it might be one of those, “You had to be there” moments. Yesterday, I installed Linux Mint on my dad’s laptop. With the exception of a couple of bits of poorly supported hardware, the installation went without a hitch. I think my dad was genuinely pleased with his new Linux installation and he commented that it was definitely faster than the old Windows XP installation, he added that he thought it looked fairly easy to use too. These are just more trash statistics telling the world or at least anyone who wants to listen that GNU/Linux is not relevant. Real statistics with pedigree showed that GNU/Linux surpassed MacOS share back in 2003 and has not looked back. This also indicates that those who tried GNU/Linux are happy enough to keep using it and they do not value the need for support from Novell highly and more continue to ask for GNU/Linux. GNU/Linux is simple, modular and reliable. During a quiet period my colleague and I happened to find ourselves comparing notes on our company-supplied laptops: Dell Latitude E6500s. My colleague, let’s call him Diglio, runs Windows 7 on his, and I am running Kubuntu 10.04. We were just sitting ourselves down in an empty conference room to take advantage of the CMU wireless to check our email. Diglio opened his laptop, which had been suspended, and nothing happened. Well, sort of. The fan came on, but not the screen. Nothing he could do would turn the screen on, he had to reboot. 89% of the top 500 high performance clusters run GNU/Linux and 1% run that other OS. That will not change any time soon. SGI ProPack 7 is the latest version of SGI’s suite of tools and libraries that enable industry-leading application performance on standard Linux(R) distributions. SGI software products are designed and built on open standards supporting Linux distributions from Red Hat(R) and Novell(R). SGI also integrates and certifies leading third-party software tools to provide best-in-class open software stacks for customers’ most demanding workloads. History of IRC, the Peer-Directed Project Center, freenode and more. As we reported here earlier this week, the Samsung i897 looks to be AT&T’s first serious attempt at releasing an Android phone. In terms of specs, it appears to be almost identical to the Galaxy S with its 4-inch AMOLED screen, Android 2.1, and 5-megapixel camera. Our source for a few hardware details just dropped a handful of pictures on our lap showing the future AT&T device looking ready for prime time. One of Samsung’s newest phones – the Samsung I8330 – is reported to be available shortly on the Vodafone network and under the name Vodafone 360 H2. The testing Phoronix does may have some use but it is not a reflection on Linux in general just the filesystems and hardware that Phoronix uses that are quite narrow. The code in question is just a tiny percentage of Linux. * Wim Coekaerts (Senior Vice President, Linux and Virtualization Engineering, at Oracle): Coekaerts will take a technical look at Linux at Oracle. * Rob Chandhok (President of Qualcomm Innovation Center, Inc.): Chandok will discuss the challenges in open source and mobile today. * Markus Rex (Senior Vice President and General Manager of Open Platform Solutions at Novell): Rex will speak about the changing nature of IT workloads on Linux. The latest ATI graphics drivers are here to satisfy the needs of the Linux gamers out there. ATI Catalyst 10.5 comes with preliminary support for SUSE Linux Enterprise Desktop and Server 11 Service Pack 1. It also fixes quite a lot of Linux-specific issues and bugs. Other than that, it’s just a regular evolutionary update, nothing to write home about. REVIEW: DeVeDe 3.16.8 – DVD made easy! Upon loading DeVeDe you are presented with a screen which asks you what type of disk you are creating. In my instance it was DVD video, although there are offers of VideoCD, Super VideoCD, China VideoDisc and DivX/Mpeg-4 too. Next up you select the titles for your buttons on your menu screen and with a quick click to the adjacent box to select the files that are going to be played when this title is selected. This is where DeVeDe 3.16.8 really impresses and taking the worry of all those command line options away, it will automatically convert your files into DVD compliant format. After that its rinse and repeat for any other titles you want on your disk. NTSC and PAL are both catered for and there is a status bar to show you how much room you have left on the disk. The KDE Project developers have released a first beta for version 4.5 of the KDE Software Compilation (KDE SC), a development preview of the next major release for the popular Linux and Unix desktop. According to the developers, the beta is aimed at “testers and those that would like to have an early look at what’s coming to their desktops and netbooks this summer”. The final version of KDE 4.5 is scheduled to be released in August, 2010. Good news for fans of KDE, the first beta of KDE SC 4.5 is now available for download. KDE has a history of introducing some of the most innovative features in each release. In KDE 4.4 we got tabbing support at the window manager level, making it possible for people to combine any two arbitrary windows from different applications, into one tabbed window. · Many other amazing, new features! There were a lot of complaints when we decided to limit the size of icons placed on panels in plasma to 32×32 pixels. The reasoning behind limiting the size were requests from users who use vertical panels – vertical panels are usually made wider then standard panels, and icons would grow to 300×300 pixels taking up most of the space on the panel. One of the most requested features after KDE Partition Manager’s initial release has been that users asked for a way to modify mount points from within the application. This came as a bit of a surprise to me because I would not have seen this feature to be in the immediate scope of a partition managing application. But, the user is king after all, and thus this will indeed be possible in KDE Partition Manager 1.1. * Maintainance – KDE 3 is a large codebase. You need a good amount of people with domain knowledge of many different areas to effectively maintain a project like KDE. I see some of the first roadmap tasks for Trinity are updating the build system to deal with all the updated developer tools (e.g. newer autotools versions). Continuing on with the theme of measuring the popularity of Linux distros, today we’ll go for another method. Linux Tracker is a website that provides a bit torrent tracker for various Linux distros and related projects. Another way of measuring popularity is to look at the number of seeders and leechers a torrent has (the number of people uploading/downloading the torrent at that moment) and the number of downloads it has had. While the only takes a smaller fraction of the downloads, as most people prefer to use HTTP downloads. These will also cater to the slightly more technically aware, as downloading via bit torrent is not quite as simple as downloading via HTTP. Another issue is that it is possible (and encouraged) for one person to be seeding multiple torrents at once, so someone could be seeding every single Ubuntu torrent on the site, even though it is only 1 user. Conversely someone could have downloaded the disc straight and then not seeded it at all. Projects with lots of DVDs/CDs (such as Ubuntu and Debian) will have more seeders together than a project with only 1 or 2 CDs. Jean-Philippe Guillemin proudly announced last evening, May 27th, the immediate availability of the Zenwalk Linux 6.4 operating system. The new release is powered by Linux kernel 2.6.33.4, with the BFS scheduler, and the new XFCE 4.6.2 desktop environment. Cutting-edge packages and overall performance improvements are also present in this new release of the lightweight Zenwalk Linux distribution. Zenwalk 6.4 is ready ! Zenwalk 6.4 provides many enhancements at system and application levels, while confirming the maturity and features stability of Zenwalk. The brand new 2.6.33.4 kernel is featuring the new BFS scheduler, designed for the best desktop interactivity on multi-core CPUs while taking the most of lower spec machines. You’ll notice better responsiveness of graphical applications, better realtime performance of sound applications (very low latency), and efficiency of niced commands (compilation tasks can really be niced in a way they don’t disturb other applications). Like its predecessor, Zenwalk 6.4 features EXT4 as main filesystem, and latest versions of most applications and desktop environments. Mandriva Linux 2010 Spring is coming soon! Mandriva Linux 2010 Spring’s development planning is on track. Latest release helped to fix many bugs and improve quality of your favorite distribution. “The Fedora Project and the engineers and developers that are part of it always keep tabs on technology trends in open source. We included KVM early in Fedora distributions because its developers did the work necessary to have it included in the Linux kernel. We predicted KVM’s inclusion in the kernel would make it the best virtualization solution going forward, and we’ve been proved right. Over time we deprecated Xen hypervisor support in Fedora, while KVM has continued to flourish and grow in features and adoption. * How-To : Program in Python – Part 11, Adding Screenlets, and Streaming Media. * MOTU Interview – Stefan Lesicnik. * Top 5 – Tiling Window Managers. * plus: Ubuntu Women, Ubuntu Games, My Opinion, My Story, and all the usual goodness! A new version of the Software Manager is available in the repository. You can use the Update Manager to upgrade to it. The Software Manager was rewritten from scratch in Linux Mint 9. It’s a very complex application, and it can be improved in many ways. Today we tackled the time it takes for the application to start. Basically it needs to process some 30,000 packages, a growing number of comments (we’re receiving about 200 comments per day at the moment) and match all that in categories and do some other fancy processing… Because of all this, it’s far from being immediate. Although Pandora is promoted as “the most powerful gaming handheld,” the specs lean more towards an ultra-portable, pocket-sized PC. This portable rig can surf the Internet thanks to a built-in Wi-Fi 802.11 b/g wireless adapter, allow users to compose email using its 43-button QWERTY keyboard, and perhaps even export high-quality video to a TV thanks to its S-Video output jack. The Pandora sports a battery with a 10+ hour duration. According to an earlier Reuters report based on Gartner figures, Nokia only managed to sell less than 100,000 top-of-the-range N900 smartphones in its first five months on the market. However, Nokia has since told The INQUIRER that the original figure quoted by Reuters was incorrect, and that it actually sold more than 100,000 Nokia N900s in the first five weeks. Meego is facing stiff competition from Google’s Android and Chrome operating systems, Canonical’s Ubuntu Netbook Remix and Microsoft’s Windows 7 Starter Edition. Like Canonical’s and Google’s products, Meego is based on the open source Linux kernel. More than 4 billion TV users exist in the world. Americans watch an average of five hours of TV per day. Instead of Android being the best that Linux will ever get on a portable device, it’s actually the first step into having open systems on mobile platforms. As Android gets into the netbook and tablet market, it will only get better for Linux users. People will learn to trust these open platforms and find out that these work out just as well as other types of platforms. The flexibility felt with these will be superior to other platforms that are more closed and controlled where users can’t make personal choices. The idea of openness may have gotten away from Google with regard to Android, he said. Initially, the goal for Android was to create a mobile platform that would spotlight Google’s features — maps, search, cloud-based applications. The Nexus One is Google’s attempt to create just that phone, even though the versions of Android phones sold by other handset makers may not live up to the Googleplex’s ideal for a smartphone. While we’ve got no way to confirm at the moment, here’s some proverbial food for thought. A friendly reader last night published in our comment thread for the two rumored Verizon-bound Motorola devices with the above picture (subtitles added by us), claiming the bottom image is the Droid 2′s upgraded QWERTY keyboard. The story goes that his friend had one but no other information is currently available — the font on the keys is identical, and the mic icon on the bottom left is distinctively Android. If it’s legit, we gotta say we’re hopeful; the keys look to have a more protruding center à la the CLIQ, which should make typing on the little guy much easier than before. And if it’s not the Droid successor, well, it’s still something we haven’t seen. Could this be the updated QWERTY-fied Android solution we’ve been waiting for? Time will tell. CEO Sanjay Jha tells investors Motorola is concentrating on the convergence of mobility and the home and ‘nearly all’ of his focus is on Android. While VIA is helping to produce a line of devices that come in at the $100-$150 range, Marvell’s teaming up with the organization to keep their tablets at a maximum price of $99.99 to help less-fortunate children and families get computing devices that will help them with their education and everyday life. Realease (no, that is not a typo) has rolled out a new 10″ tablet device which runs on the Linux operating system, with a choice of Freescale i.MX37 (ARM11) and i.MX51 (ARM Cortex A8) processors within. The folks over at ARMDevices have posted an exclusive look (via YouTube video – see below) at the Realease Shogo tablet. Sporting a 10.1 inch capacitive touchscreen, the Shogo comes built with a Freescale i.MX37 (ARM11) or i.MX51 (ARM Cortex A8) processor inside and is completely open with Linux as the OS. In the high-stakes competition to grasp Apple Inc.’s hit iPad, the Android operating system that Google Inc. made popular in cellphones is promising to be a front-runner. Tablet-style computers, a declining hardware category until the iPad began generating buzz previously this year, which are anticipated to be a huge topic at next week’s Computex trade show, which is a major topic of discussion for product announcements by creators of personal computers. A pair of the most-anticipated mobile computers from this year’s CES show were Lenovo’s U1 Hybrid and Skylight smartbook. Both ran a custom widget-based Linux OS (sometimes also called Skylight), and were powered by a Qualcomm Snapdragon CPU. But since then, both devices seem to have fallen off the map, and now we think we know why. Both systems are getting a software overhaul, jumping to the Android platform in search of better performance and more usability. Lenovo switching to Google Android for their Tablet PCs? Switching to Google Android would benefit Lenovo in the long run. They would not have to spend too many resources on developing the core OS for their products. Android would also provide a massive support for third party apps that are available from the official market operated by Google. Lenovo settled questions around its ultra-mobile PCs on Friday by planing a switch in OS for the Skylight smartbook and the IdeaPad U1 detachable tablet. The two will drop Lenovo’s in-house Linux OS for Android in what’s treated as a reaction to “market conditions and user feedback.” Future plans now involve creating an entire ecosystem of Android devices that would include devices like the LePhone. Two years ago many companies were skeptical of Open Source, but after living two years through tough times during a recession, many companies have a better handle on what Open Source is all about and are enthusiastically embracing its potential. And the new mind shift among customers is forcing many vendors to change. They’re changing the way that they sell. And they’re changing the way that they develop with and support their software purchases. In theory, open source should win hands down. The open environment allows a cooperative ecosystem to evolve, guaranteeing a rate of innovation simply not possible in closed system. But I think it depends on where we are in the maturity of the market. Open source allows for more innovation, but it’s also an open invitation for more things to go wrong. This can be deadly as you try to push along market adoption. Today marks 10 years of continuous full-time employment working on Mozilla. I still can’t believe I get to work with so many amazing people. It’s pretty much the best job ever. Thank you to all the Mozillians that have made this such a wonderful decade. According to Mozilla’s calendar, Lanikai remains on schedule for a June 1st release barring bugs discovered in the release candidate. The full change log for the release candidate can be read here. The email client release is considered stable by the developers but it still aims largely at developers and testers and not general users who are asked to wait until the final version of Thunderbird 3.1 is released before they migrate to the new client. screw you, firefox tab complete! For some reason that is completely unfathomable to me, the URL that’s shown as hilighted in firefox’s URL window can get out of sync with options that show up in the drop down menu of possible alternatives, yet firefox gives preference to the drop down menu when you hit the TAB key to complete. Opera, ever scrappy in its effort to promote its browser over larger rivals, is poking fun at Google’s recent video boasting about the speed of its Chrome browser. “The Opera browser is much faster than a potato,” concludes Opera’s low-budget video, which features herring-obsessed caricatured Scandinavians rolling the tubers into a pot of water at the same time Opera loads a Web page. It is open source and available from the project website under the GNU General Public License (GPL). OpenOffice.org 3.2.1 Release Candidate 2 is not yet available from the usual download website but on many mirrors. So, just download from your favorite mirror next to you. Please note that currently a few Windows builds are not yet ready, these files need a bit more time to be available. Although Oracle will continue to support the GlassFish 2 customers through its commercial support, plans are for the team to focus on the Version 3 roadmap. Welcome to the June installment of our what’s coming from the open source projects in the next month. Given the collaborative roots of VistA and all the third-party development that’s been done on top of it, in use in hospitals all over the nation, it makes sense to make this a full-fledged open source project, engaging the best coders and developers out there to build the best system for our veterans. And with the federal government moving toward electronic record-keeping for all healthcare, this gold standard could be applied across the board. How much does BI software and ongoing support actually cost? The report pulled real numbers from public sources and direct from the vendors revealing and comparing BI software and support costs for Pentaho, IBM (Cognos), MicroStrategy, Oracle and SAP (Business Objects). Open Source Channel Alliance: Open to MSPs? The Open Source Channel Alliance will potentially reach roughly 15,000 Synnex resellers — many of whom are managed service providers targeting mid-market customers. Ben Golub is new to the storage industry, having served previously as CEO of Plaxo (now part of Comcast) and in the upper management of VeriSign (which recently sold a security division to Symantec Corp.) before taking over as CEO of Gluster earlier this month. Golub and other executives from the open source clustered NAS software vendor recently sat down with SearchStorage.com to discuss the state of the enterprise data storage industry, building an open source business model, and what’s coming in new releases of their product. Terracotta has upgraded the distributed caching open source code it acquired last year, Ehcache 2.1, for the fourth time in 10 months. The pace of upgrades reflects how making use of pooled server memories governed by a distributed cache has become a hot method for scaling up Web applications. A technology leader in cross-platform collaborative editing and shared media storage, has announced the Lightworks Open Source Beta Programme. When we talk about server virtualization, we often mention the resources behind the technology, such as the memory, CPU, and disk. We do so because at least one of these resources will ultimately become the bottleneck somewhere down the road on our path to consolidation. But what about the network? Remember the network — that thing that everyone used to point the finger at and assign blame to when something went wrong in the data center? The Spanish Police, Spanish Mint and Portugal’s Agency for Administrative Modernisation have been heckled by developers of OpenSC, open source software for smart cards. The developers found that the public administrations use their software libraries, but have not made available this open source code, one of the terms of their licence. The Portuguese Agency for Administrative Modernisation corrected the error last week, the open source developers report. The decision on Tuesday by the administration of the Bolzano region to renew the proprietary software licences for it’s servers, will be challenged by Associazione per il Software Libero (Assoli), an advocacy group on free and open source. The group says the region should have investigated alternatives and should have issued a call for tender. Google has the resources to fight any industry consortium in court, and it might just get the chance, as the company has declared that it will make all of YouTube available in VP8. But, as John Paczkowski pointed out, unless it’s ready to indemnify everyone else who uses the standard against future licensing or legal fees, its claim that VP8 is not only open source but free to use may prove meaningless. An Arkansas woman who locked her son out of his Facebook account and posted her own items there was convicted Thursday of misdemeanor harassment and ordered not to have contact with the teenager. Clark County District Judge Randy Hill ordered Denise New, of Arkadelphia, to pay a $435 fine and complete anger-management and parenting classes. He said he would consider allowing her to see her 17-year-old son, Lane New, who lives with his grandmother, if Denise New takes the two courses. Former home secretary David Blunkett said today he was considering suing the Government for the £30 cost of his ID card, after it was announced that holders of the documents will not be compensated when they are abolished. In any other situation, Jason Wilde might have been flattered to be thought of as a decade younger. A new show called Exposed: Voyeurism, Surveillance and the Camera opens at Tate Modern this week. It features images made surreptitiously or without the explicit permission of the subject. It is the history of spying with a lens in just over 250 photographs. Companies that operate critical infrastructures and do not voluntarily allow the federal government to install monitoring software on their networks to detect possible cyberattacks would face the “wild” internet on their own and place us all at risk, a top Pentagon official seemed to say Wednesday. Defense Deputy Secretary William Lynn III, speaking at the Strategic Command Cyber Symposium in Nebraska, said we need to think imaginatively about how to use the National Security Agency’s Einstein monitoring systems on critical private-sector networks — such as those in the financial, utility and communication industries — in order to protect us. After completing an elaborate sting operation, the FBI arrested a Disney employee and her boyfriend Wednesday for trying to sell corporate secrets to hedge fund managers and other Wall Street traders. The FBI and other federal regulators said the plot was dependent on the ability of Bonnie Hoxie to covertly exploit her position as an assistant to Zenia Mucha, Disney’s head of corporate communications. Fighting PC game piracy with restrictive copy protection is “a losing battle”, Blizzard has said. A cease and desist order sent to Google on behalf of The Tetris Company LLC has resulted in 35 Tetris clones being pulled from the Android Market. The developer behind FallingBlocks was among the first to feel the fallout as they took to Slashdot to air their complaint. Artists are being ripped off by copyright rules applied by the federal government’s latest tourism campaign, arts groups claim. Tourism Australia has been sourcing images and photographs from the public free of charge for use in its latest Nothing Like Australia campaign. The government agency has previously sourced artwork from commissioned and library-stock photographs, generating income for the copyright holders. One thing though this news must be good news for FACT, because P2P tech threatens to take away the pirate DVD market stall if the new “code of practice” makes it “too hot” for P2P users then I would expect those not frightened to take the risk will be raking in profit as they sell the copied titles on the street. So for FACT the revitalised industry of pirate DVD sales will make the work flood in….happy times ahead Im sure. I get fed up with saying it, copyright infringement can be greatly reduced. This is not the way to do it. But who cares if it doesn’t work? You are paying for the experiment….theres always next year. Michael Scott points us to one of the best summaries I’ve seen of the state of the music business today — published in the ABA Journal. It’s an incredibly balanced piece, that really does carefully present both sides of the story on a variety of issues, and presents actual evidence, which suggests the RIAA is blowing smoke on a lot of its claims. The piece kicks off by highlighting that the music industry appears to be thriving, and then noting that it’s not the same as the recording industry, which has been struggling. It’s official. “Hurt Locker” producer Voltage Pictures has declared war on 5,000 unidentified people who allegedly pirated the Oscar-winning film. The lawsuit was filed this week in the U.S. District Court for the District of Columbia. A proposed class action was commenced yesterday, May 25, 2010, against Thomson Reuters Corporation and Thomson Reuters Canada Limited on behalf of a class of Canadian lawyers and law firms. The Statement of Claim (which has not been proven in Court) alleges that Thomson Reuters breaches copyright by making available original lawyer created legal documents for fee or subscription without permission from, or compensation to, the authors of the documents. More than 2 years ago the IFPI and other copyright groups brought action against Danish ISP Telenor demanding that it should block its subscribers from accessing The Pirate Bay. Following a hearing which began a week ago, the Supreme Court in Denmark has just ruled that The Pirate Bay must continue to be blocked, upholding previous rulings by lower courts. In Aussie Gyms, It’s the Same Old Song—but Who’s That Singing? One evening this week, fitness instructor Michael Montgomery tried to spur four dozen exercisers through a frenetic routine of lunges and jumping jacks by applying a tried-and-true prod—a Britney Spears tune. The words, however, weren’t sung by Ms. Spears, but by an almost-but-not-quite soundalike cover artist identified as Mandy Brewer. A case testing the meaning of the so-called “innocent infringer’s” defense to the Copyright Act’s minimum $750-per-music-track fine has landed at the U.S. Supreme Court. The case the justices were asked to review Wednesday concerns a federal appeals court’s February decision ordering a university student to pay the Recording Industry Association of America $27,750 ($750 a track) for file sharing 37 songs when she was a high school cheerleader. That decision reversed a Texas federal judge who had ordered defendant Whitney Harper to pay $7,400 ($200 per song). The internet was created to share and distribute data. It’s the whole reason the world wide web exists. What continues to amaze me is how freaked-out authors are by this. The thought that someone is sharing their work–without paying for it–seems to evoke the same reaction as having someone hack your bank account and drain your life savings. And yet, I’m not worried. I’m currently selling 220 ebooks per day, and that rate shows no signs of slowing down. Not only Microsoft is abandoning Xbox, whose leadership is still leaving Microsoft in droves. XBMC too is dropping Xbox like a hot plate, whereas other platforms — Free/libre ones included — will still be supported. The XBMC developers have announced that they are dropping support for XBOX consoles. 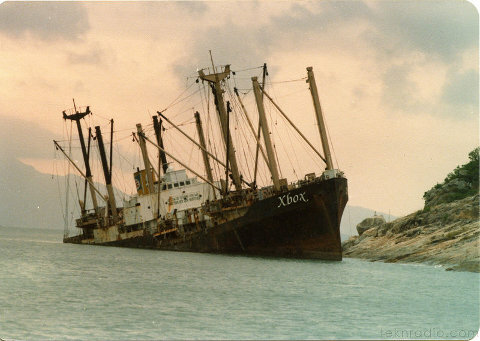 Although the popular open source media centre started as a program for modified XBOX consoles, the developers say that the “XBOX has hard limits for what it can handle” and that “it is a popular misconception that official XBOX development is still taking place by the team”. IT IS hard to tell whether we stepped in a scandal or not, but putting the evidence out there is almost certainly worthwhile. Last night we wrote about Pequot's inside trading that involved Microsoft shares. This was not the first time that we wrote about the Pequot fiasco [1, 2, 3]. Could Microsoft be investing in unsubstantiated claims and bogus allegations not just through Baystar Capital? Could there be more parties involved? Right now we have an everlasting frivolous lawsuit and SCO never seems to run out of money, not even this week. It wants a new trial which it can fund with rather mysterious funding that we wrote about before. I know some of you wondered if SCO had given up and faced reality and wasn’t going to file. Hah! Nevah happen. The full title of the document is “SCO’s Reply Memorandum in Support of Its Renewed Motion for Judgment as a Matter of Law or, in the Alternative, for a New Trial”. Here is the most revealing new article so far. It turns out that there are Microsoft roots, misconduct, and other abnormalities inside Pequot Capital. The key person moved from Microsoft to Pequot Capital not so long before the SCO case, just as Microsoft staff moved from Microsoft to Acacia only weeks before Acacia sued Linux (Red Hat and Novell). Fried, Frank, Harris, Shriver & Jacobson and Wachtell, Lipton, Rosen & Katz played key roles brokering a $28 million settlement that resolves a long-simmering allegation that Pequot Capital Management, the Westport-based hedge fund, committed insider trading in Microsoft securities in 2001, according to SEC officials. The SEC filed suit against Pequot and its chairman, Arthur Samberg, today and announced at the same time that Pequot and Samberg agreed to pay $28 million combined in disgorged profits and penalties to settle the case. (They did not admit or deny guilt.) Federal investigators had been looking into the allegations since at least 2005 but closed early investigations after failing to find enough evidence to bring a case, according to our prior reporting. But then something happened that didn’t help Pequot: The employee at the center of the case got divorced, and e-mails implicating the employee, David Zilkha, in the insider trading scheme came to light in filings. Zilkha joined Pequot in 2001 after working for Microsoft, and he used his contacts at Microsoft to tip Pequot to the fact that Microsoft was about to release a better-than-expected earnings report in the spring of 2001. Pequot then made $14 million on trades of Microsoft securities, according to the SEC’s complaint. Wowza. Folks out at Disney’s HQ in Burbank, Calif., are probably doing a bit of glassy-eyed headshaking on Wednesday, in wake of a criminal complaint filed a few hours ago. The complaint, filed by federal prosecutors in Manhattan, has alleged that a former administrative assistant to Disney’s head of communications and her boyfriend tried to sell advance access to the company’s second-quarter earnings reports. Click here for the WSJ story; here for the criminal complaint. Please hold off on submitting this while we determine certain compatibility issues internally at google. We’ll engage with osi in a couple of weeks, likely as not. I would also point out that we’re uncomfortable with make license proliferation worse and in the event we do submit it, we will want a couple of changes to how OSI does licenses. 2) We will want the bod list archives open for any discussions of webm. We are not comfortable with OSI being closed. This might sound strident, but I think that OSI needs to be more open about its workings to retain credibility in the space. This important issue that has Web video at stake is currently being discussed at Slashdot. At the end we expect Google to make the necessary tweaks and make everyone happy. Well, everyone except the patent trolls (MPEG-LA) which Apple and Microsoft harbour. VC-1, used in HD DVD, was more different from H.264 than is VP8 and could not escape the problems of software patents. In previous posts about the subject we emphasised that MPEG-LA is run by a patent troll called Larry Horn. They are no longer just in the codec business, as we showed last night. MPEG-LA is quite clearly some kind of a parasite that will fit well in this new conference which is filled with them (organised for patent trolls and hoarders, apparently). Earlier this month, MDB Capital Group–an IP-focused investment bank that promises to help investors understand “the hidden value of intellectual property assets and future technological leadership”–held what it billed as its first annual “Bright Lights” intellectual property conference, bringing together IP-centric speakers from a variety of small and medium-size companies. The Prior Art attended the opening panel, which included the heads of two of the largest, and most litigious, patent-holding companies—Erich Spangenberg and Paul Ryan, the CEO of Acacia Research Corp., the largest publicly traded patent-licensing company. The US patent system is a sordid mess and it’s getting worse by getting faster. For more information about Shotwell, refer to http://yorba.org/shotwell/. Gthumb and F-Spot continue to be maintained and available in the Fedora repository. They are not installed by default anymore. Canonical did the same thing in Ubuntu 10.10, possibly in Ubuntu Netbook Edition 10.10 as well. At Groklaw this is summarised as “Shotwell Replaces Gthumb and F-Spot as Photo Organizer in Fedora 13″ and Pamela Jones adds that “Shotwell is written in Vala. “And here’s one prominent reason developers do not want to rely on C#,” Jones adds, pointing to the FSF's epic statement from last year. Audio playback is quick, too, and I thought the video playback was excellent, thanks to the Banshee application. Swapnil: Which distribution do you use, and which desktop environment? Greg: I use openSUSE as my main distro, with Gentoo still on a few server or ‘tiny’ machines I use for infrastructure. I use SLED for testing new hardware out as part of my job. As for the desktop environment, my laptop is now running Moblin. Before that it was running Fluxbox. My main desktop is running GNOME, and I have a test box running KDE to ensure that the FACTORY branch of openSUSE is still working properly. Swapnil: Although binary-only drivers make life easy for the end user, in your opinion, how good are they? Greg: They do not make life easy for end users; they make life harder. My opinion, as well as those of a very large number of Linux kernel contributors, was published last year and can be seen at www.linuxfoundation.org/en/Kernel_Driver_Statement. A new snapshot of openSUSE 11.3 is available, which now puts it at Milestone 7, and means that the first release candidate is near. However, while the release of openSUSE 11.3 is approaching in July, it continues to add in new packages and support. For those of you not interested in today’s ATI Catalyst 10.5 for Linux driver, if you pull the very latest open-source ATI Radeon Linux graphics driver stack there is now tiling support for the R600/700 (Radeon HD 2000/3000/4000 series) graphics processors. Minitunes is just another music player, only better. It is currently being developed, so you cannot download it at this time. But you can stay up to date by reading the developer’s log (RSS). Minitunes will be available on Linux, Mac and hopefully Windows. Calculator Application For Ubuntu Maverick Now Faster Than Chromium! Easy Media Converter for Linux? You bet! Miksoft nails it. Most of us have been in a situation from time to time when we needed to convert a video file to another format. We would all claim of course that it was of a family event that we recorded last summer. Ahuh. There have always been tools and programs available to help automate the process, although in many instances the interfaces were cumbersome and confusing. Some on the other hand were very easy to navigate but never seem to work quite right. I have used a few converter programs on Linux in the past like, Avidemux, OggConvert, and Pitivi. However, a few months ago I stumbled on a media converter for Linux that I had not heard of before and discovered they had a deb file already created for Ubuntu Linux, so I figured it was worth the few clicks to check it out. I was surprised to discover a simplistically elegant interface although more importantly it also worked perfectly each time I threw a “family video” at it. The latest version also supports operating systems including Ubuntu 8.04.4, Ubuntu 10.04, OpenSUSE 11.2, Red Hat Enterprise Linux 5.5, Fedora 12, Debian 5.0.4, Mandriva 2009, the firm said. Lugaru HD was a part of the Humble Indie Bundle which allowed users to pay whatever the want for some great cross-platform games. They said they will open-source the games if they reach 1,000,000 – which they did, so all the games are about to be released as open source. KTorrent 4.0 is finally released. This release add some rather interesting features like magnet support and the µTP protocol (bittorrent over UDP). Beyond updates to Clutter, Mutter, GNOME Shell, and various other GNOME applications, there is one very other important change that happened to the GNOME desktop this week. After being around for years, X Input 2 support was finally merged into the GTK+ library for the 3.0 release. good reason. But no, the real reason is that someone casted a curse on the release team to make sure we’re late. Want a proof? Did you see the 2.31.1 release? See! I told you! We can’t let this happen! So let’s all rock and show the world that we’re much stronger than those little magic things! Remember, there is no wrong choice. Whatever distro suits you best is the right one for you, so if you’re happy with a distro that didn’t get a high score (or isn’t listed here) that’s OK. It’s impossible to objectively say “this distribution is the best one, period.” The goal here is to set out a roadmap for new Linux users or experienced Linux users that may not be fully happy with their current distro. Announcing Billix 0.27 and… SuperBillix 0.27! Billix debuted in the August 2008 issue of Linux Journal, and it’s gone thru incremental updates since then. I’ve tried to keep it on the same track as Ubuntu updates, more-or-less, though I’ve had varying levels of success with that. However, Billix 0.27 released only a few days after Ubuntu 10.04LTS did. As usual, Billix fits easily on a 256MB USB key or higher, and is available from the usual spot (http://sourceforge.net/projects/billix). Thank you to all who joined us for the first Open Your World forum yesterday, and a special thanks to our speakers. We hope you all learned something new to apply to your lives. If you weren’t able to join us, or if you’d like to see a session again, you can listen to any of the session recordings. We’ve also added the PDFs of the presentation slides below as attachments to this post. We’ll also be posting a few followup articles related to some of the presentations. Though Apple has added additional data security features to the iPhone with every iteration of the OS—including encrypting files on-device for the iPhone 3GS—vulnerabilities still exist. These issues are of particular concern to enterprise users, since sensitive corporate data may exist on any given employee’s mobile device. A new vulnerability revealed by security researcher Bernd Marienfeldt, however, shows that all someone needs to get at that data is the latest version of Ubuntu. The Android tablets are coming and this time Apple won’t have a big head start. Will value tablets sell? Dell’s Streak (top right), a 5-inch tablet powered by Android, launched Tuesday in the U.K. and the device will come to the U.S. later in the summer. The Streak has integration with the Android market and a few other goodies that may attract buyers, according to Dell. Meanwhile, Pandigital has its Novel, another Android-powered device. The Novel (bottom right) is a 7-inch touchscreen device also powered by Android. Joel Evans calls the Novel a poor man’s iPad at $199. Dell and HP have recently made very strong declarations of OS independence from Microsoft. Take HP first. At the sametime Dell has committed to the Android OS for both its Streak tablet and its lineup of new mobile phones. In sum, both vendors a)cant wait for Microsoft to get its mobile act together and b)the appeals of the customizing advantage of Android or self-owned webOS are too big to ignore. Judging from early mock-ups of the Moby—which will be available this fall, according to Marvell—the device will resemble a somewhat chunky iPad, right down to the single “home” button on the bezel. Marvell hasn’t announced the device’s full specs, but says the tablet will include Wi-Fi, Bluetooth, FM, and GPS radios and will support “multiple software standards including full Adobe Flash, Android, Windows Mobile, and Ubuntu.” (Ubuntu is a variant of Linux.) Like the iPad, the Moby is expected to have a long battery life compared to a laptop, but unlike the iPad, it will have a built-in camera for photography and video conferencing. Marvell also says the device’s virtual keyboard will provide “touch feedback,” although it hasn’t specified how this will work. OLPC hopes to have this tablet run on only one watt of power (the current XO consumes 5W). It is unclear what kind of battery life this will allow, but it should be long, if not very long. As for how much it will cost, the target point is a fairly attractive $99. Colonyzer was developed using the open source packages: Python, RPy and the Python Imaging Library and its source code and documentation are available on SourceForge under GNU General Public License. Colonyzer is adaptable to suit specific requirements: e.g. automatic detection of cultures at irregular locations on streaked plates for robotic picking, or decreasing analysis time by disabling components such as lighting correction or colour measures. I’m very pleased to annouce that Antelink, the INRIA’spinoff I lead and cofound with Stépane Bagnier, joins FOSSBazaar community. VoltDB is available immediately from www.voltdb.com. The open-source Community Edition is licensed under the GPL and is available for free. Pricing for annual subscriptions starts at $15,000 per year for a 4-server configuration. Visit this link for detailed VoltDB pricing. A federal appeals court has ruled that former patent boutique lawyers now working at Philadelphia-based Woodcock Washburn crossed into frivolous territory in pursuing an inventor’s lawsuit. But whether the lower court’s sanctions against their old firm will stick remains uncertain. Another South Florida receiver trusted by judges for years to oversee bankruptcies resigned from hundreds of cases after the U.S. Trustee’s Office determined more than $1 million was missing from accounts under her control, sources told the Daily Business Review. A study published in the Journal of Applied Social Psychology takes a look at one of these methods, which the authors term “scientific impotence”—the decision that science can’t actually address the issue at hand properly. It finds evidence that not only supports the scientific impotence model, but suggests that it could be contagious. Once a subject has decided that a given topic is off limits to science, they tend to start applying the same logic to other issues. Independent Natural Resources, which makes the Seadog water pump, on Wednesday said that it has received a permit for a wave power generation facility off the coast of Freeport, Texas. The company says it’s the first to receive a “section 10 permit” from the U.S. Army Corps of Engineers to operate a wave generator in the U.S. Videos and stills posted by Pas au-Delà appear to show spectacular events going on in the operation to cut off the flow of oily gunge in the gulf — possibly a ‘junk shot,’ where rubber and other materials are forced into the failed blowout preventer in an attempt to plug it. Those considering President Obama’s nomination of Solicitor General Elena Kagan to the Supreme Court should remember that she did an excellent job on the brief in Cartoon Networks v. CSC Holdings, where she took positions directly contrary to those being taken by the Jenner & Block law firm, whose pro-MPAA pro-RIAA partners occupy very high positions in the Obama administration’s Department of Justice. Producers of Oscar-winning film “The Hurt Locker” have made good on a promise to file copyright lawsuits against people who have illegally downloaded the movie via file-sharing networks. Recently significant capital has been invested in patent speculation and for the last eighteen months, Congress has been discussing patent reform. Hedge funds in need of generating quick returns in this challenging market are seeking investments in patent trolls. Yes, OIN says that hedge funds are looking for patent-trolling opportunities because there are good returns. Novell is being pursued by hedge funds while Apple and Microsoft happen to be investing in the world's largest patent troll too — the same troll who collected the patents of Linux Torvalds’ old employer. What would happen if Novell got snapped by a hedge fund and its patents then auctioned? This wouldn’t be so bad if it weren’t for the fact that Novell has a treasure trove of patents, with at least 450 patents related to networking, office productivity applications, identity management, and more. When I worked for Novell, we didn’t worry too much about a lawsuit from Microsoft. After all, Novell had (and, I presume, still has) patents that directly impact Microsoft’s Office business. I could see Microsoft lining up to buy out these patents from a private equity firm, but I could also see a non-practicing entity (aka “patent troll”) buying them to extort money from Microsoft. Perhaps some would cheer, but they shouldn’t. After all, Novell also has valuable Unix copyrights (sorry, SCO) which, in turn, affect Linux. Given Novell’s history in the networking market, it almost certainly owns patents that also could have a big impact on defending Linux. This same intellectual property motivated Microsoft to pay Novell a $536 million settlement back in 2004. How much would Novell’s intellectual property be worth to a patent troll? Let’s hope so. Novell long ago faded from many people’s minds, but it has never been more relevant with its business and, by extension, its intellectual property, available for the highest bidder. Novell keeps accumulating more and more software patents every month, as we last showed and warned about some days ago. The OIN is being pointless here. OIN loves to talk about “good” software patents, but a good software patent is like a “good” nuclear warhead. You just don’t want any of that stuff around and once you make it, it is hard to get rid of (although it can wind up changing hands and reaching fanatics like trolls). I understand your need to editorialize our earnings. To be accurate, our revenue (not earnings), driven by services decline you point out, was down 5.4%. As you have long criticized our Microsoft partnership, I’m sure you took note that our core Linux products – EXCLUDING Microsoft certificates, yielded an impressive 46% invoicing growth in Q2. In the latest episode of The Linux Link Tech Show [Ogg], the guys are discussing what would happen if Google bought Novell (it starts around 27min:50sec). Who would possibly want to buy Novell as a whole? The company is so diverse; it’s all over the place, so it happens to compete against almost any company that’s a potential buyer. “Novell Revenues, Linux Business Slide,” says the headline of this new article, which concurs with our insinuation that Novell will need to sell. It’s been a tough quarter quarter for Novell (NASDAQ: NOVL) as questions about its future ownership remain on the table. Novell is also facing pricing pressure on its Linux business as renewals come up on Microsoft’s SUSE Linux Enterprise subscriptions. Some ramblings about the creation of a new user interface for mail, calendaring etc. specifically for MeeGo; something I’ve been working on, amongst other things, for the last three months. Initially for Moblin 2.1 we tried a more invasive re-working of the user-experience: called Anjal. That was not uniformly positive, missing many features (by design), and didn’t have enough time to mature. As such, it was decided by the MeeGo team that we should try a new approach. This would take Evolution, and adapt it’s UI for the netbook screen-size, tweaking all the relevant defaults. We would merge the best features from Anjal, and then build from there. The result is some great MeeGo, netbook goodness, despite being done at high speed over three months. Meeks and his own software patents were covered here before. Well, at Novell, even British workers apply for US software patents that are not legitimate in Britain. On the relatively positive side, more software is being created which can replace the Mono intrusion vector known as GNOME Do. Here is a new article which compares Launchy, GNOME Do, and Kupfer. To many people, application launchers are not really worth much attention. After all, it’s just a box to type in a command, right? Perhaps that used to be it, but these days there are some tiny programs that can make a huge difference in productivity. Not only can you run a command, but you can search for files, search the web, check the weather, even run a mini calculator. Today we’ll compare three of the better known launchers for Linux – Launchy, GNOME Do, and Kupfer. While they all have roughly the same function, each has a different take on how it should be done, and the configuration capabilities vary greatly from one to the next. Here, you’ll see what makes each one unique and hopefully find the one that works best for you.